In a bowl add dry ingredients: brown rice flour, arrowroot starch, guar gum, baking powder, & salt and set aside. In a separate mixing bowl, using a whisk, add wet ingredients: avocado, olive oil, maple syrup, and vanilla, and mix well. Add egg to wet ingredients and mix until incorporated. Using a wooden spoon, slowly add dry ingredients to wet ingredients slightly (around 10 strokes). Slowly add milk and mix just until incorporated, still slightly lumpy. Add blueberries, and stir about 5 strokes to evenly distribute into the dough. Bake for 15 minutes, turn the muffin tin halfway, and bake for another 10-13 minutes or until toothpick comes out clean. 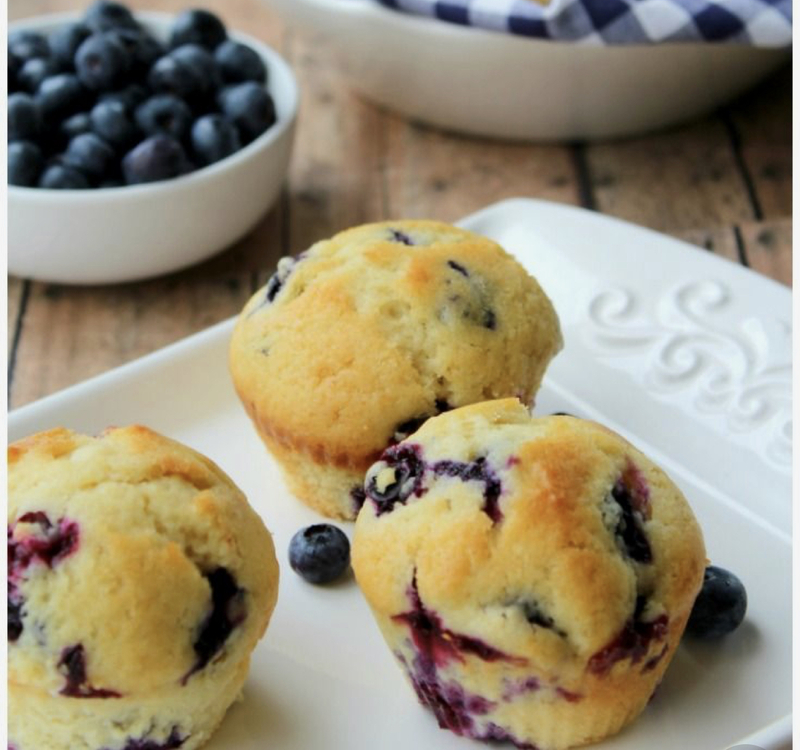 Let muffins cool in pan for 5 minutes before placing on a cooling rack to cool completely.